18k white gold pendant. The bezel is set with baguette cut diamonds, the phoenix is set with a mixture of diamonds, precious and semi precious stones and enamelling. 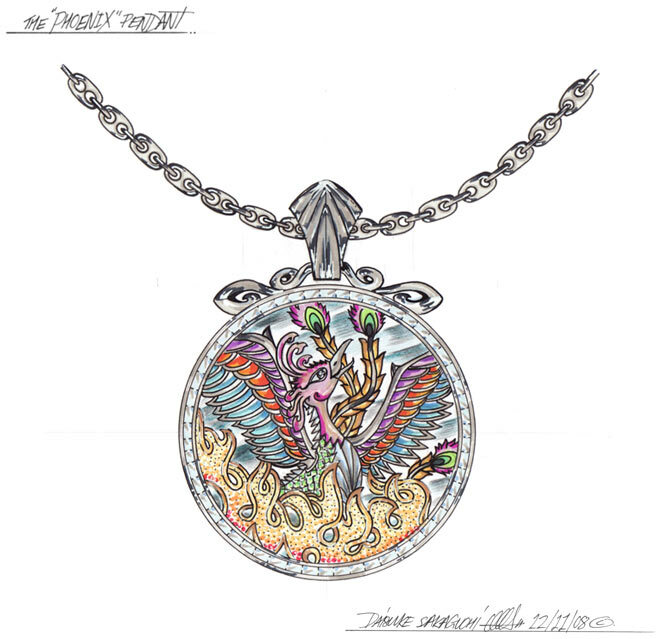 The phoenix is cased in a domed sapphire glass.